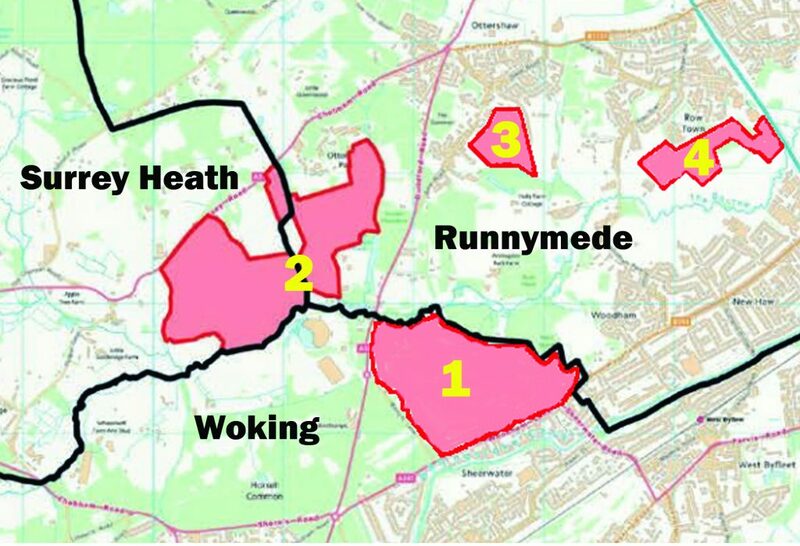 WOKING is in danger of becoming linked to neighbouring boroughs by an urban sprawl that will devastate the Green Belt, a conservation manager is warning. He says housing developments under way or proposed near where Woking, Surrey Heath and Runnymede meet will also put unacceptable pressure on internationally important heathland. 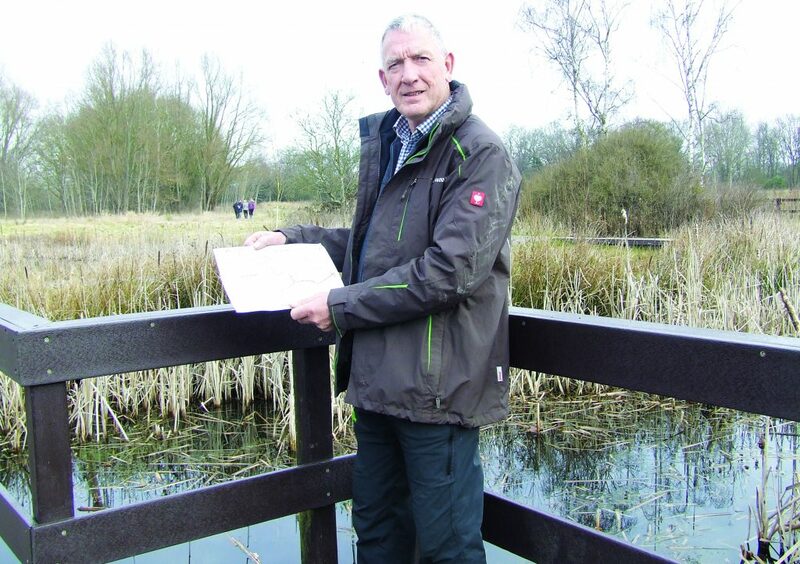 The alert comes from Paul Rimmer, estate manager of Horsell Common Preservation Society, who has been mapping proposals for taking land out of the Green Belt for housing. Mr Rimmer manages nearly 900 acres of heathland, much of which is part of a European Special Protection Area for vulnerable bird species. He started his survey after a ‘Woodham New Town’ became a possibility for land next to the common. “We have put possible developments in the surrounding area on a map and it’s clear that there could be a merger of communities on the edges of the three boroughs,” he said. “The borough councils seem to look at their development plans in isolation, disregarding what is going on in neighbouring areas. Mr Rimmer said the possible Woodham development site was close to Fairoaks Airport in Chobham, where Surrey Heath Council was supporting the building of a garden village of at least 1,500 homes. Not far away was the Sheerwater regeneration area, where 350 homes were being added to estate. In Runnymede, several sites close to Martyrs Lane were suggested for development in the borough’s draft development plan. These include Bousley Rise and Brox Road in Ottershaw, Coombelands and Old Road in Road Town, and land alongside St Peter’s Way and the M25 motorway at Chertsey. “All these developments are close together, but no-one is taking a strategic view of how they would affect the surrounding countryside and the infrastructure such as roads,” Mr Rimmer added. Horsell Common Preservation Society, along with its chairman, David Robbins, has objected to the Martyrs Lane land being ‘safeguarded’ for future development. Mr Rimmer says Woking Borough Council is disregarding a landscape assessment and Green Belt review of the area in allowing it to even be considered for housing. He refers to a report to the council in August 2016 by ecology and masterplanning consultants Hankinson Duckett as to whether the site can be developed without significant damage to its landscape character. Hankinson Duckett divided the land into two parcels – A to the north including disused nursery and farmland and B to the south including the Woodham Court Sports Club pitches and New Zealand Golf Course. Parcel A could take 900 and B 2,000 homes when assessed against the borough’s housing needs, it said. After detailed assessments of the two parcels and their relation to neighbouring communities, the report concludes they both have ‘critical importance’ towards to the purposes of the Green Belt in checking urban sprawl and safeguarding the countryside. “It’s clear from its report that the council should not even be thinking about taking the land out of the Green Belt,” said Mr Rimmer.